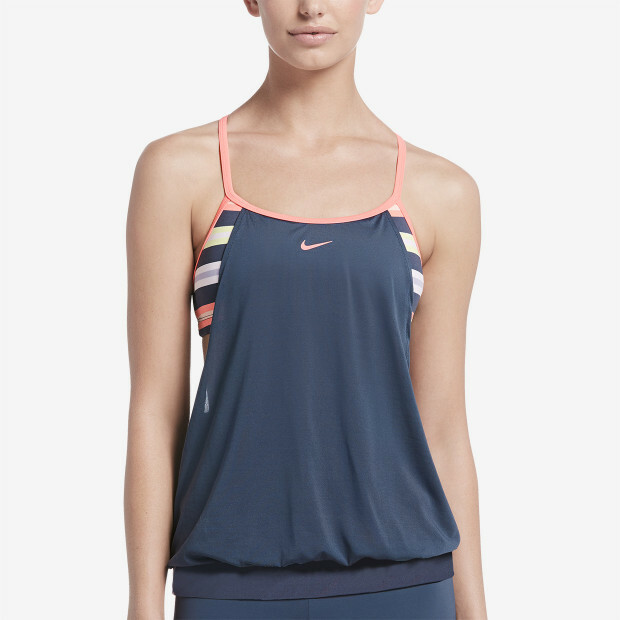 Nike Swim Women's Sport Stripe Layered Sport Tankini provides the coverage you want without sacrificing performance. This medium support tankini top has a loose-fitting solid-color layer over a colorful striped built-in bikini top. It's fully lined for a secure, comfortable fit.